Change begins with us,” weaving his thoughts into these words, Mr. Bhavdeep Singh follows his own league to transform the society. According to him, one should first carve one’s own path to lead others towards a constructive path. A crucial member of Fortis Healthcare, the second-largest hospital chain in the country, his visionary approach in the healthcare business is commendable. His phenomenal people management experience coupled with his strong operations and business acumen has undoubtedly transformed Fortis into name synonyms with excellence, trust, and compassion. 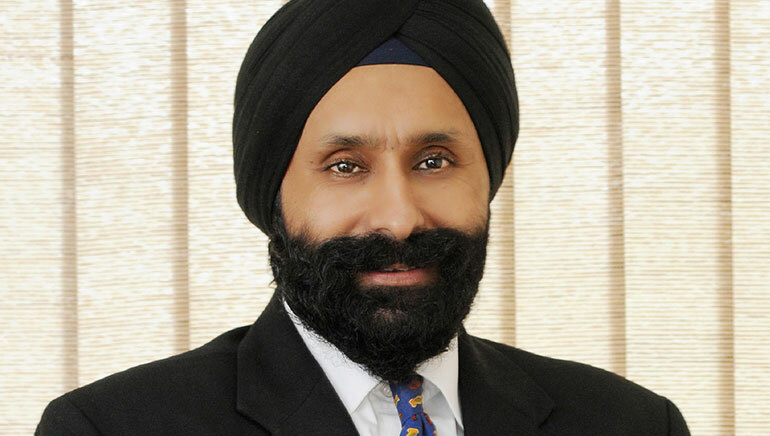 An alumnus of Pace University, Mr. Bhavdeep Singh has an impressive educational background. He has completed several certified courses in Leadership and Executive Management from premier institutions such as the Harvard Business School, Cornell University, University of Hartford, Dial Institute of Management, and St. Joe’s University in the United States. With more than 25 years of experience, Mr. Bhavdeep Singh has held several senior executive roles in HR, Retail, and Healthcare. These diverse sectors have helped him in gaining an insight to enhance the growth of the organizations he works with. In addition to this, he has a global expertise and he has worked across multiple geographies as well. This has resulted in his understanding of the human resources and the ways to handle various situations in a positive manner. In the present time, Mr. Bhavdeep Singh is widely known for his exceptional record of building and leading great teams whilst delivering outstanding results. Earlier, Mr. Bhavdeep Singh used to work with Ahold, a USD 26 billion retailer with almost 800 stores. He was on the Executive Board of the establishment and stayed there for almost five years. An EVP HR of the firm, his sheer dedication led him to be the head of Ahold’s US operations and new formats business. He was also associated with A&P for over 28 years and held various important senior leadership positions covering crucial aspects of the business. His key areas of responsibility included Operations, Merchandising, Marketing, Finance, Supply Chain/Logistics, HR, Labor Relations, Asset Protection, Productivity, and other support functions. In addition to this, he has also served in companies like Spencer’s Retail and Reliance Fresh. According to Mr. Bhavdeep Singh, the Indian healthcare sector is poised for growth and his target for his hospitals is to accelerate this pace with utmost care and compassion. With a renewed vigor and focus, he is walking ahead to deliver clinical excellence without compromise. He looks forward to working towards building an institution known for clinical excellence and distinctive patient care. As a proud CEO who focuses on patient care, he continues to excel in the healthcare sector by innovative new ways to eradicate the troubles that this field is facing. Under his dedicated and exemplary leadership, Fortis Healthcare is committed to provide the best possible care to every single patient every day. Recently, this new-age humanitarian has also taken the pledge to be an organ donor. Mr. Bhavdeep Singh’s compassionate nature and rich knowledge not only redefine the characteristics of a true leader but also inspire others to be the trailblazers while enlightening the lives of thousands of people.